The red carpet was rolled out for all of the show attendees. 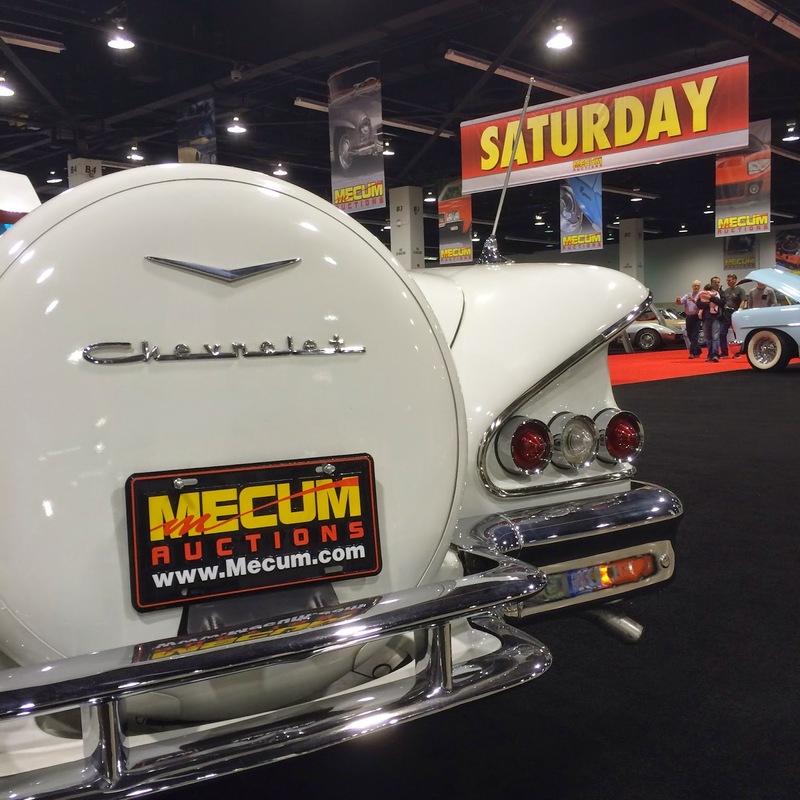 Over the weekend, the Anaheim Convention Center was taken over by 100's of muscle cars and custom cars thanks to the Mecum Auction. I always like driving down to this event to check out what is selling and for how much. The Anaheim Convention Center has plenty of space to display all of the cars, so it is pretty much a scaled down indoor car show. 100's of cars filled the convention space all weekend. Nicely restored 1966 Chevy Nova SS. This 1954 Buick Skylark Convertible sold for a nice price on Saturday afternoon. 1960 Chevy Impala ready to go across the block on Saturday morning. 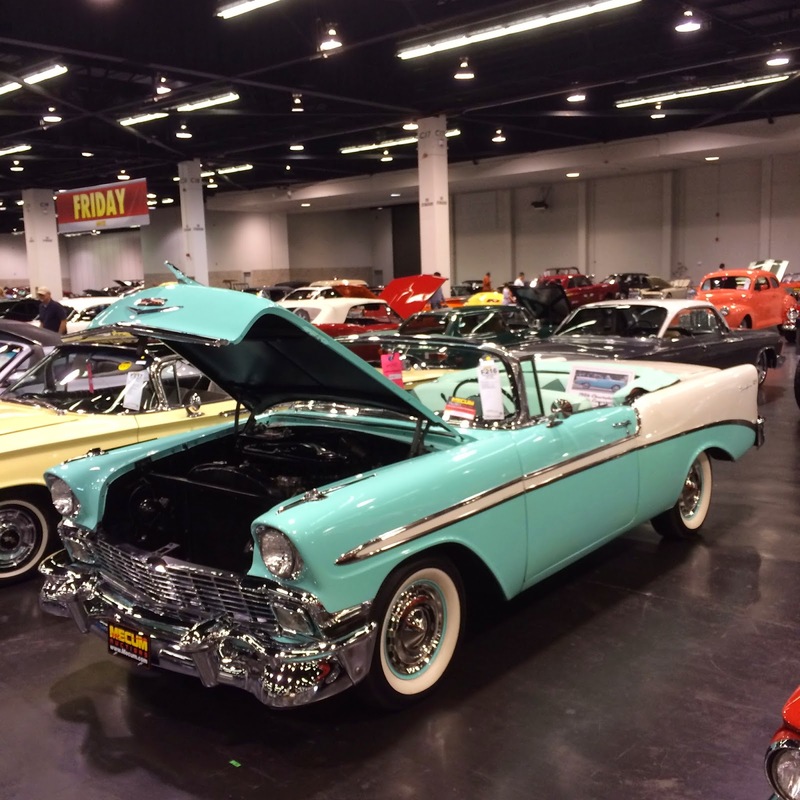 Cars of all sizes were up for auction in Anaheim over the weekend. You could have driven home in the Isetta or the '59 Gogomobil Regent. This was a pretty cool auction item. A 1960 Chevy Nomad wagon, plus a '54 Chris-Craft boat. 1960 Chevy Impala on the ground. It wasn't all hot rods and muscle cars. A well kept IROC-Z was up for auction too. Looking for a trolley? You could have taken home a 1998 Chance Trolley on Friday morning. We didn't find any cars that we could live without, but as usual, we had a fun afternoon at the Mecum Auction in Anaheim. Check back soon for more event coverage courtesy of California Car Cover.